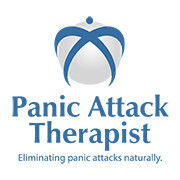 There are 7 steps to recovery from panic attacks. If you are suffering from panic attacks, there is a good chance that you are jumping from one miracle cure to another, looking for that quick fix. By researching your condition, you are actually making your situation worse; having an anxious mind will cause you to think catastrophically about all the serious things Dr Google has come up with. Improve your knowlede about why these attacks are happening to you, but be careful where you do your research or who you listen to. Most therapists are inexperienced with anxiety disorders, and will try and link your attacks to some stressful situation in the past, lack of magnesium in your body or a chemical imbalance in your brain etc etc. Have a look at my website or ask me questions on my facebook page if you want to learn more about what is happening to you. To learn more about the symptoms, please click here. The main thing to accept to aid your recovery from panic attacks is that these attacks are harmless and you have had hundreds of them, without any problem. a. What is it I am worried about? b. What are the chances of it happening? c. Am I blowing it out of all proportion? 3. Continue with your life. When you start having panic attacks, it is important to try and continue with your life, as normally as possible. It is important not to start avoiding places which cause your anxiety to rise. Try and continue going to work, going out shopping, going to the gym. By avoiding places/situations, you are sending a message to your brain that some places are scary and should be avoided. that you are doing it. I have developed a technique for breathing called the 3-3-5 and it has been proven over and over again to be effective in reducing the effect of attacks, and giving a feeling of wellbeing for those practising it daily. 5. Follow a healthy lifestyle. Have a look at what you are eating and drinking. Try and reduce caffeine and replace it with camomile tea. Introduce some exercise into your daily regime; a daily walk is great but, if you find it difficult to leave the house, it is a good idea to follow an exercise video on Youtube. Daily exercise will also reduce your adrenaline and assist your recovery from panic attacks. Daily support is the most important thing in the recovery process. By this, I do not mean a telephone number you can ring, and a different person answers each time you ring. Each day, your therapist should be leading you through sessions designed to make you mentally stronger. You need this mental strength to help you conquer your fear and also to carry out any exposure, when you choose to do so. I carry this out each day with my clients, and the results have been amazing. 7. Find a qualified therapist who specialises in this field. I have never known anyone to recover by reading a book, or practising a yoga technique they have seen somewhere. You would not try to learn to drive from a book, so why are you wasting time where your health is concerned? Ask to see a list of the therapist’s qualifications, before you entrust him with your health. If he sidetracks your request, look elsewhere. Therapy is very affordable and you can find how much I charge here. If you are interested in using his online programme, which has been effective for thousands of sufferers, please click here. If you are interested in hiring him for face-to-face sessions to facilitate your recovery from panic attacks, he is available in UK, and overseas by arrangement. Please email Vincent Benedict at benedict449@btinternet.com to discuss your needs. *** Disclaimer: Please note that, as with all therapies, results may vary from person to person.